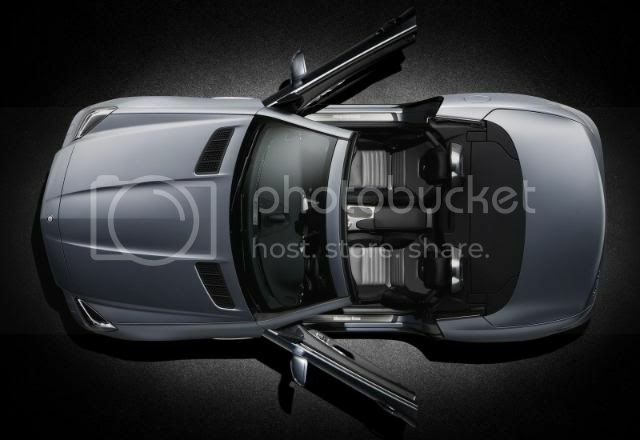 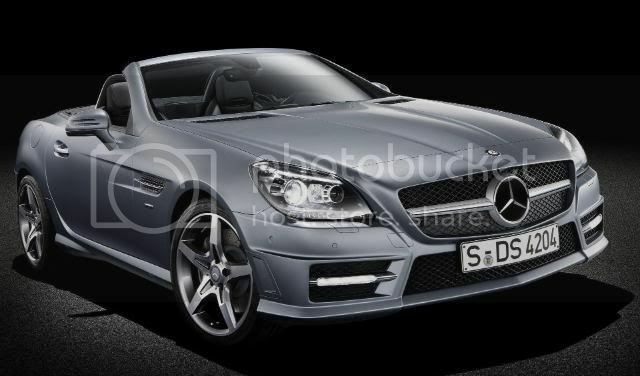 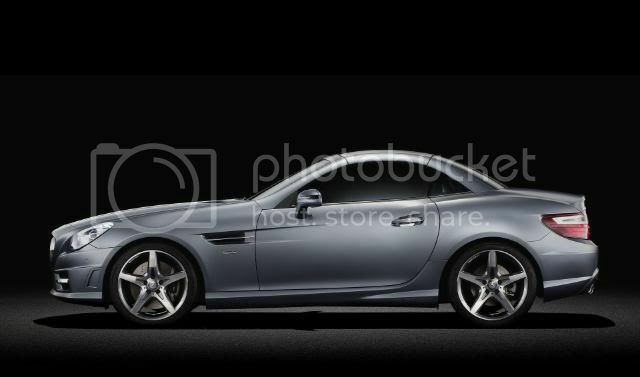 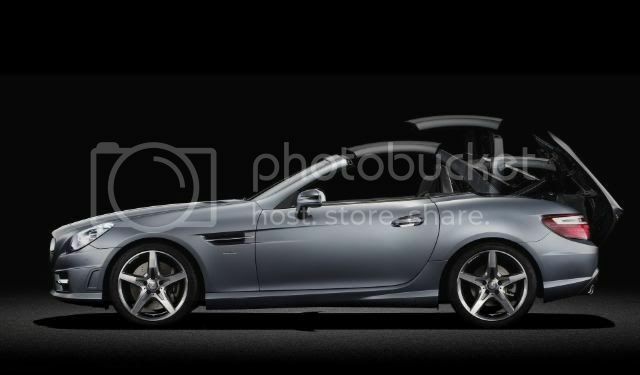 Mercedes has issued the first official images of the all-new SLK sports car. 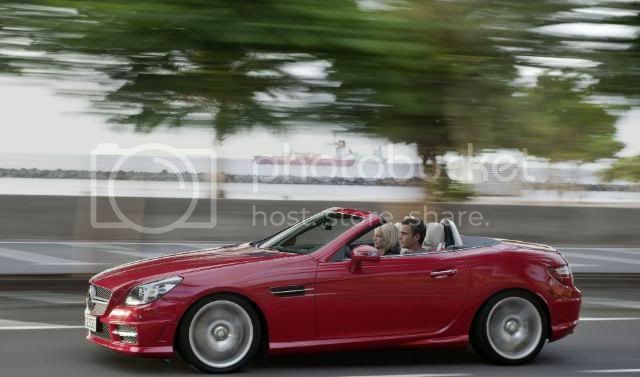 The SLK now carries a rear-wheel drive platform, more sporting chassis, and a new diesel engine. 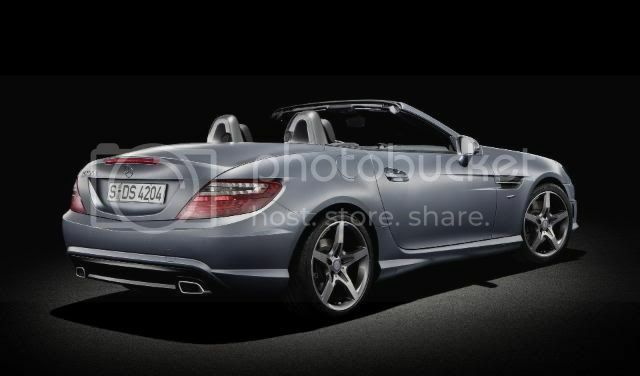 The new SLK also tones down its aggressive styling. 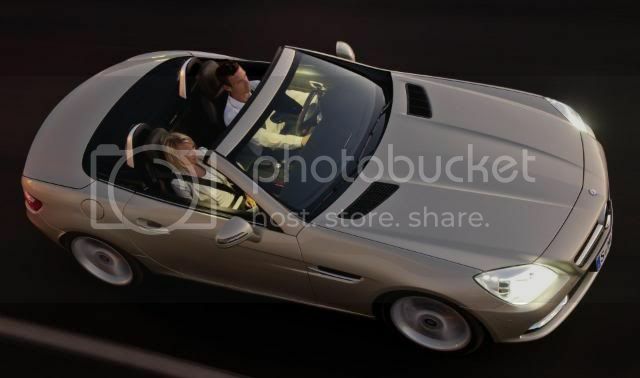 Three roof options are now available; aluminium, tined panoramic or electro-magnetic variable-tint glass panel. 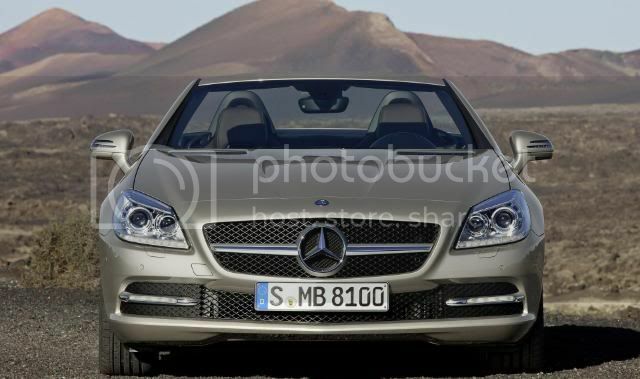 Three petrol engines will be offered; two 1.8 litre turbocharged and a 3.5 litre V6. 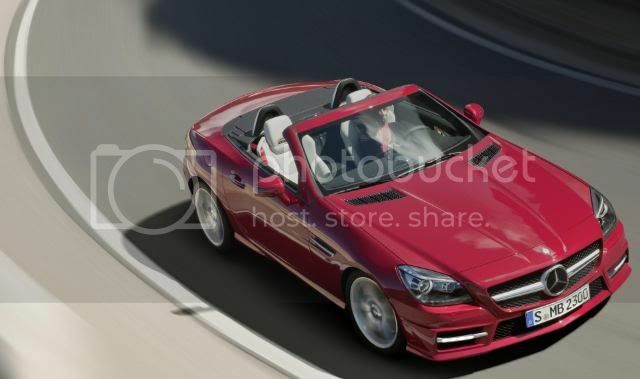 The former will be badged SLK200/250 and produce 184bhp/204bhp. 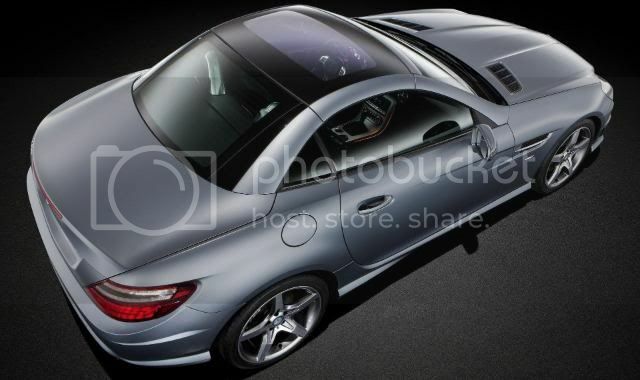 The SLK200 is fitted with a 6 speed manual gearbox, while the SLK250 and SLK350 are linked to a 7G-Tronic Plus automatic transmission. 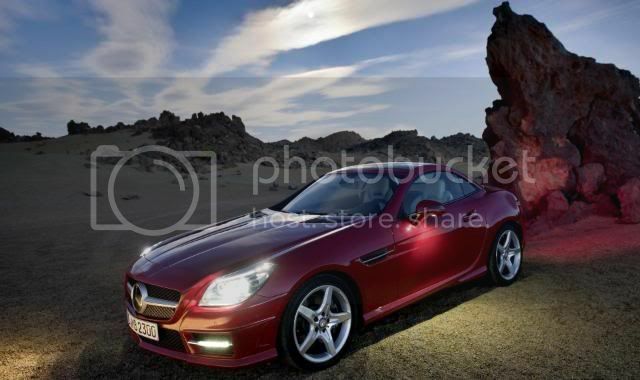 The SLK350 kicks out 306bhp and has combined fuel economy of 39.8mpg (7.1l/100km) and emits 167g/km. 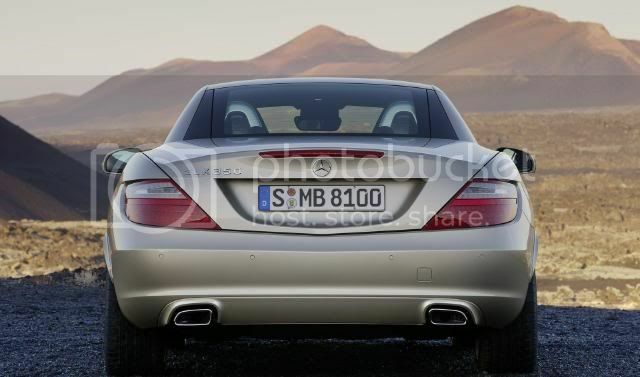 This engine features stop/start to save fuel and lower CO2 emissions. 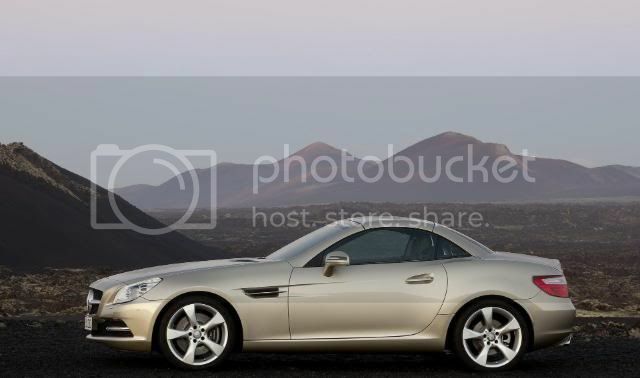 The 6 speed manual returns 46.3mpg and the SLK250 7G-Tronic Plus automatic transmission combines 45.5mpg (6.1l/100km), and emits 142g/km. 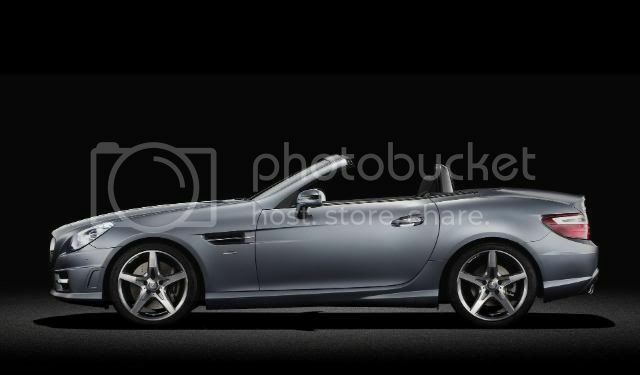 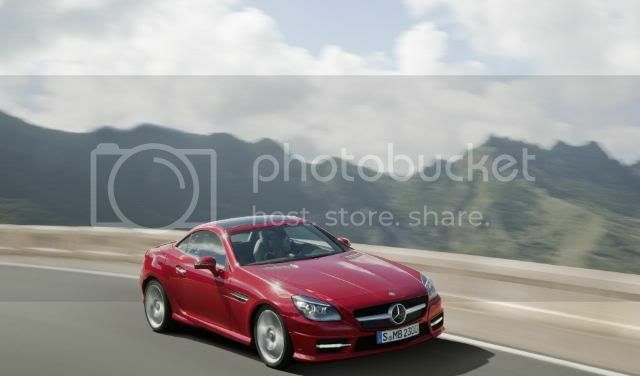 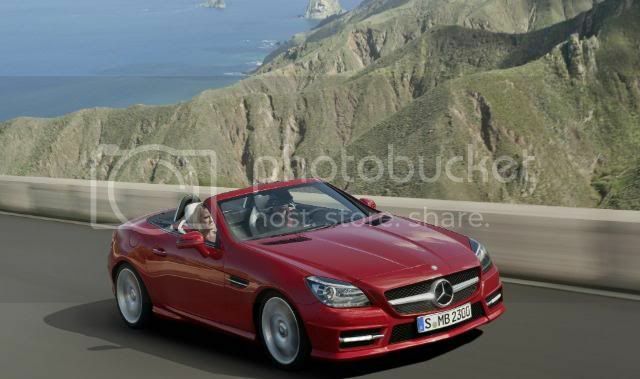 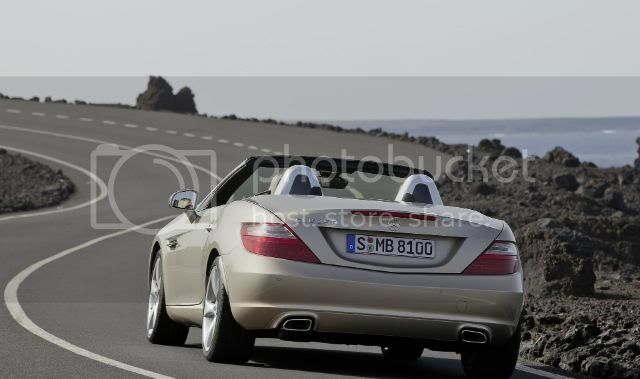 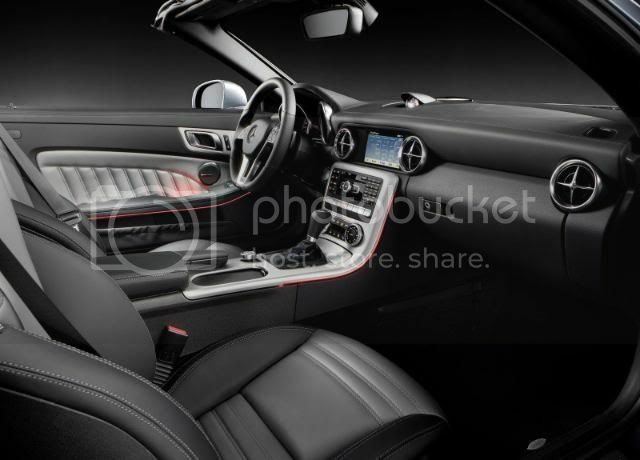 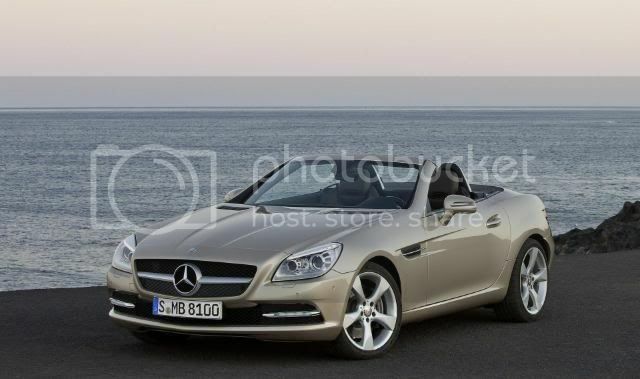 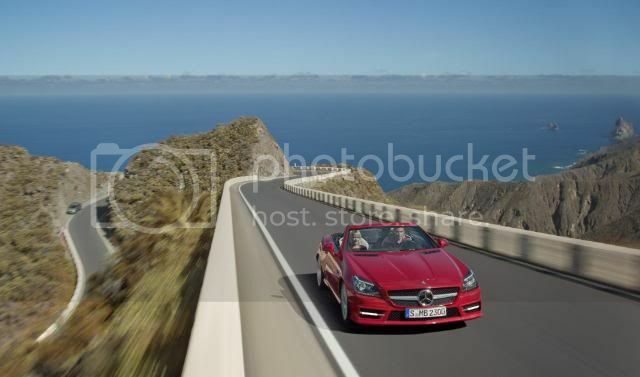 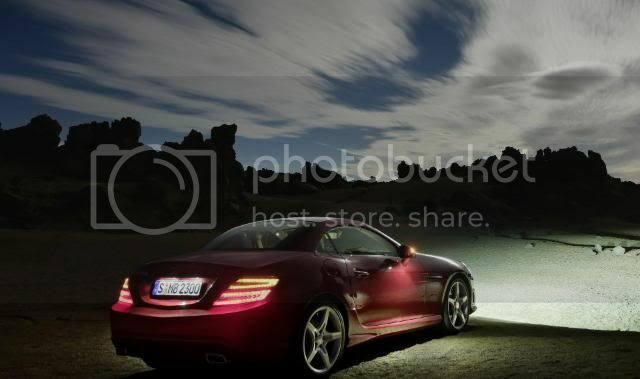 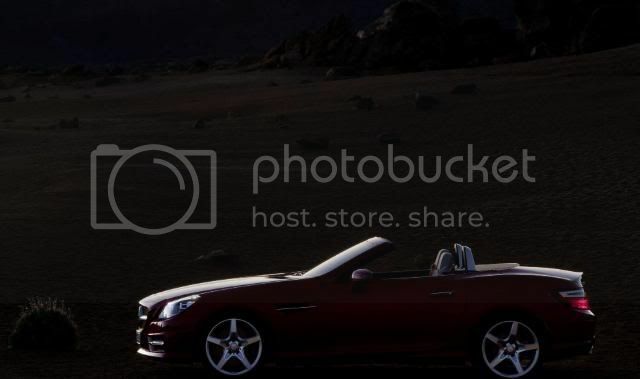 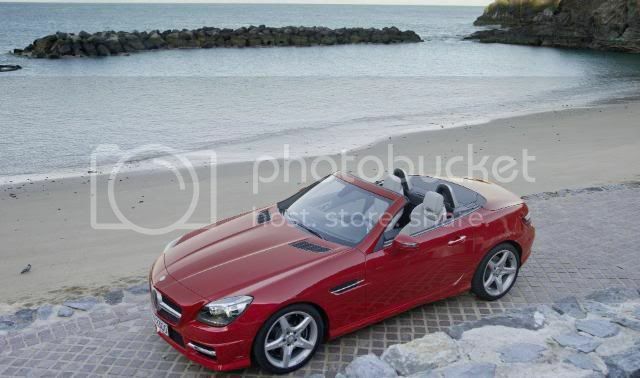 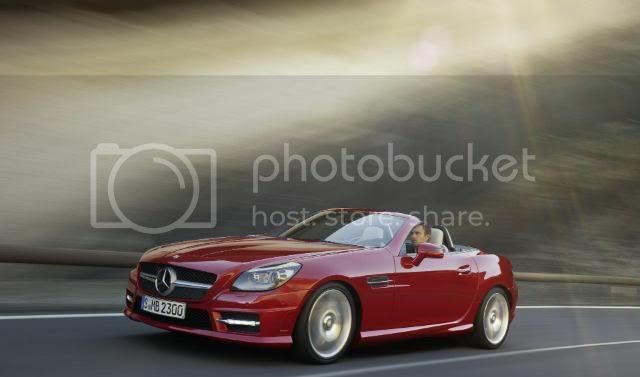 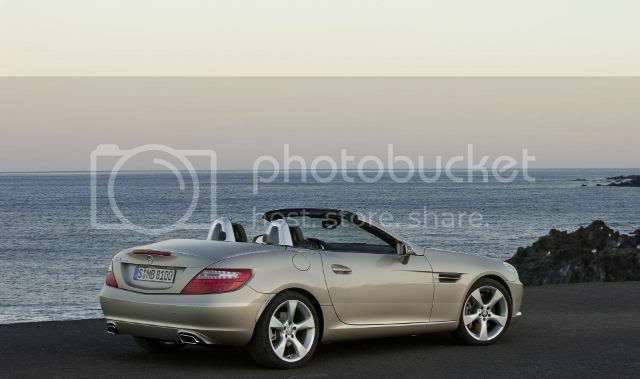 The new Mercedes SLK can be ordered from 17th January in most European countries. 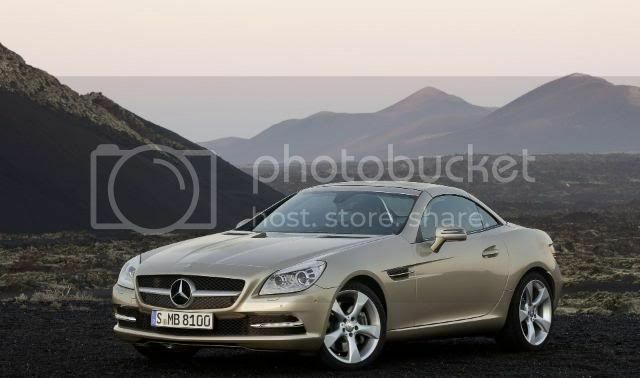 German prices will start at €38,675 for the base SLK200, €44,256 for the mid-spec SLK250, and €52,300 for the current range-topping SLK350. 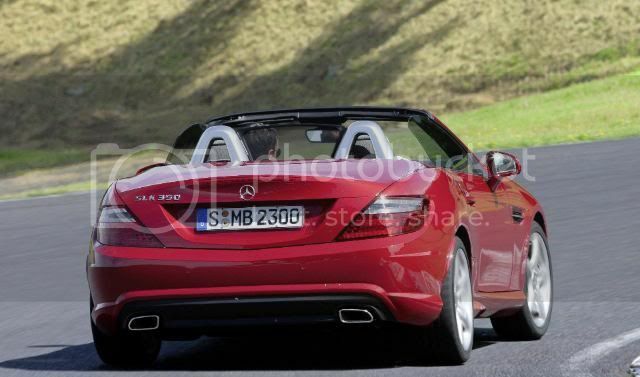 A twin-turbo, 204bhp 2.1 CDI will be offered at a later date. 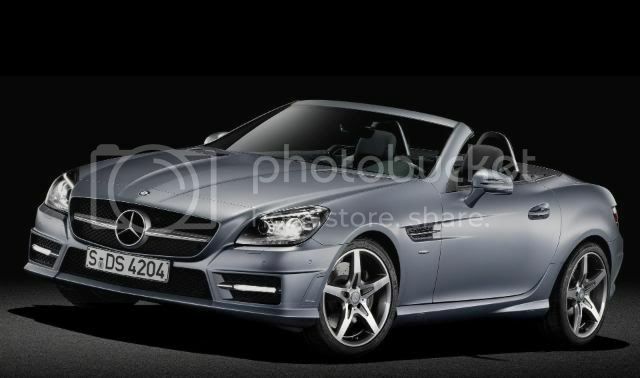 The new SLK will launch in the UK in June 2011. 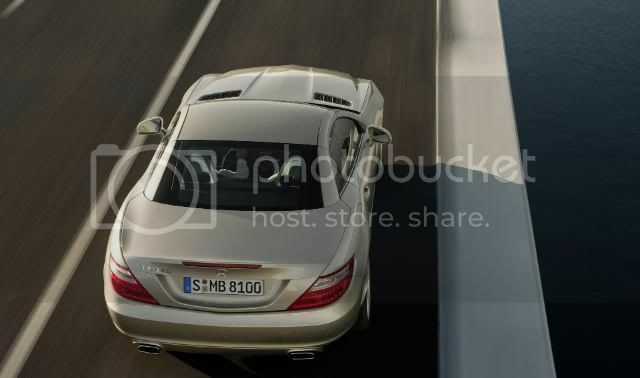 Pricing and UK specifications are still to be confirmed.